gg I am watching this. 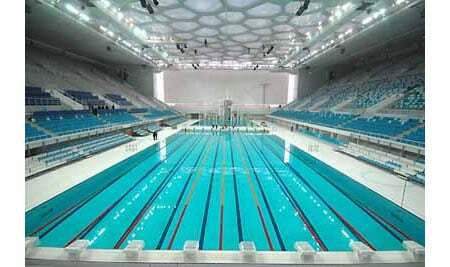 For the record, that's the same place Michael Phelps won 7 gold medals, Water Cube, national auqa centre, lol. Seems like enough room for a few water cooled computers lol. Yeah, they can have an Olympic size pool to swim after the GGs. Finally a Chinese tournament, hope it is more organized than Korean tournaments. TH000 is just the MOST creative player of WC3. He's not just creative but freaking good. He won like everything the last few years. Love it when saw him switching to sc2. Sky, Infi, TH000 and Fly??? I need to see this. This is sick, loving all the wc3 pros playing. Woo go Boxer, and all of the other players, every pro player gets props in my book. Just gotta have respect for someone who made it possible to live on an esports carreer. Tossgirl has a sister named Zerggirl, didn't turn into a pro, thou. And Tossgirl 's main race is Terran, but she started play Toss in SCBW. O M F G. TH000? Infi? Fly? Sky?! TOSSGIRL?! That's pretty damn sick invite list lol. sick. The lineup seems to be designed to draw attention but I don't mind. I hope this tournament is awesome! WTF Tossgirl plays Zerg now lol? Swift as the wind, felt before noticed. Im personally a lot more sceptical about what this event says about sc2 in Korea. Look at the players they are using. Im not saying any of them are bad, but a lot of them seem to me to be players that will already have an established fanbase eg. very well known players from wc3, nada with bw heritage. Also the female players (dont bash me for sexism here im sure theyr fantastic at the game) are probably in part another good attempt to try and pique the interest of people. Importantly, these players do not (for the most part) capture the highest level of play we've seen in sc2. I dont profess to know a lot about the chinese scene but going off their battlenet invitational those guys arnt even the best players on Tyloo. What this event, or atleast the invites for it, say to me is less about how SC2 could boom and more about how its really failed to do so to date. If a tournament has to pull in big names from other games to get in the viewers rather than relying on the champions of its own then you cant say a lot for how widely known the game's own players are. That said, this COULD be a really great first step towards engaging a wider audience than sc currently has in Korea, and in that sense I guess this could increase viewership. I suppose you have to hope that the viewers pulled by the flashy names like what they see and look past this one event to see the real depth the sc2 field has. losers get thrown into the water. :o? Wet NaDa can only draw in more viewers.